Description: Petals are 4–5.5 mm with green spots at the base of each petal. Plant lays flat on the ground or flat with tips curling up. Stems are finely hairy. Leaf: Generally 1–2.5 cm wide, 3–5-lobed. Range: San Joaquin Valley, Inner South Coast Ranges, White and Inyo Mountains, Desert. Notes: An annual herb that is native to California and is also found outside of California, but is confined to western North America. Photographed March 26, 2005 near Cadiz Dunes with a Canon EOS 10D, 100mm macro lens. 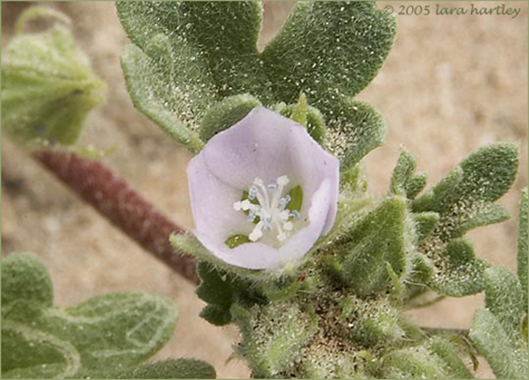 The Eremalche exilis has few companions in the desert and the Greek genus name means "lonely mallow." 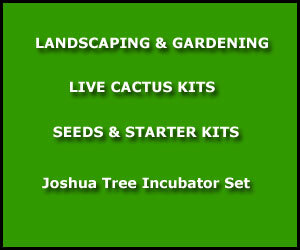 Distribution outside California: to Oregon, Wyoming, New Mexico, n Mexico.